Septic backups in your tank. Many of the problems that may occur with having a septic system can be prevented. Instead of waiting for something bad to happen, why not be proactive at fighting off these expensive problems? At Lapin Services, we pride ourselves in making sure you have all the information and tools you need in order to protect the investment you made in your home while saving the money in your wallet. Let’s get started with our top 3 Proactive Ways to Fight Septic Backups. Having your septic tank pumped on a consistent schedule is surely one of the best ways to prevent septic backups and other problems. We recommend getting your septic tank pumped every 2-3 years. During your scheduled pump out, our technicians will be able to see what is going on inside your septic tank and will let you know if there are any problems that you should be aware of, such as damaging root systems. Also, our techs do a great job of educating you about your system because we feel that knowledge is one of the best tools to stave off expensive problems. So don’t be afraid to ask us any questions while we are there. Or, you can also give us a call with any questions or concerns. One of the biggest mistakes people make is to use chemical septic and drain treatment products in their septic system. The problem is, these chemicals destroy the natural waste treatment process that occurs in your septic tank. If the organic process is destroyed, sludge will break down correctly. We recommend using all natural, bacterial septic treatment products, such as BioOne. BioOne increases the bacterial breakdown of solids in your tank and can clear any clogs in your drain pipes. 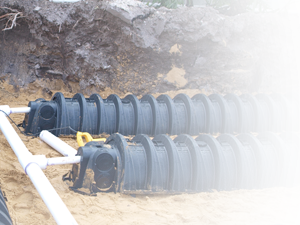 Also known as effluent filters, these filters are what prevent solids from entering the drainfield. Your drainfield is one of the final steps in your homes’ waste treatment process. Learn more about how a Septic Tank Works. The overflowing effluent, (wastewater) from your septic tank enters the drainfield where it is naturally filtered through the ground. Where the problem occurs is if your septic filter is either blocked, or if you don’t have one at all. If it’s blocked, wastewater from the septic tank cannot escape into the drainfield, which can cause clogs and backups. If you don’t have a septic filter, you run the risk of solids overflowing into your drainfield, which ruins the drainfield while also possibly contaminating ground water. We recommend having your septic filter cleaned every 6 months or more depending on excessive usage. Our technicians will be able to detect any problems with your filter as well as provide you with a new one. A ruined drainfield can typically cost around $5,000, so we recommend our clients to be as proactive as possible to prevent major damages. 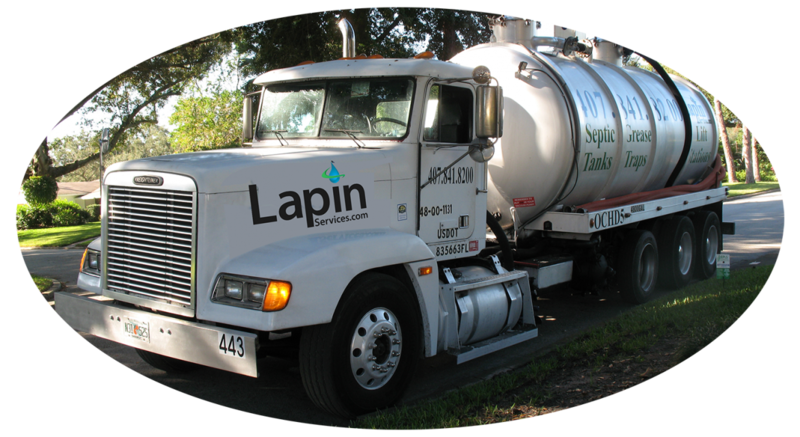 If you’re starting to see problems, do not hesitate to give our technicians at Lapin Services a call. The faster you take care of a pending problem, the more you can count on protecting your wallet. Protect Your Investment, Protect Your Drain Field!